Boost your LEGO building experience with the amazing LEGO BOOST Creative Toolbox. Build and customize Vernie, your own personal talking robot friend, code its behavior and complete fun activities with the included playmat. Speak to Vernie and it will respond with facial expressions that reflect its mood. Vernie can move in all directions at variable speed on its large tracks, see objects and colors, sense distance, grip and carry accessories, make hand gestures and launch darts from its shoulder mounted shooter! Vernie also senses and reacts to impacts and knows when you pick it up. 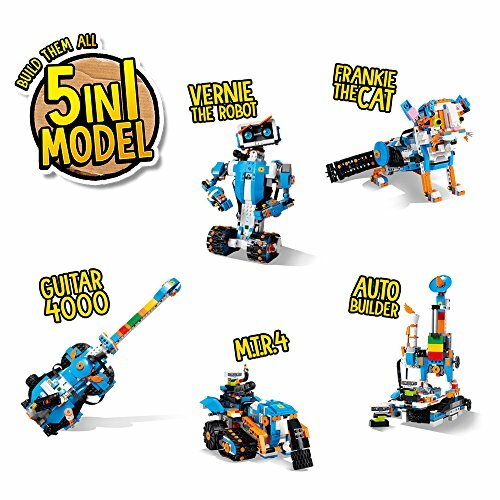 Rebuild Vernie to create the M.T.R.4 (Multi-Tooled Rover 4), Guitar4000, Frankie the Cat or the AutoBuilder, all controlled via your smart device with the free downloadable app that also includes digital LEGO Building Instructions for all 5 models, plus cool activities and ideas to spark your imagination. LEGO Boost Creative Toolbox 17101 Review prepare you for the ultimate Christmas toys of 2018. You will love this building robots for kids pack! If you love robots, you will also love Sphero Star Wars Robot here! 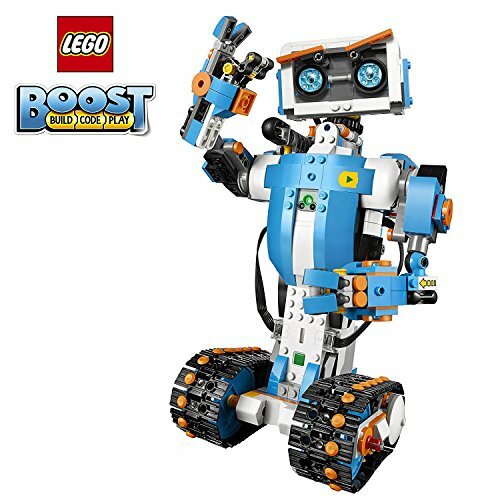 LEGO boost is 80% of the learning at 50% of the cost and 20% of the hassle of LEGO’s fancier Mindstorms product. 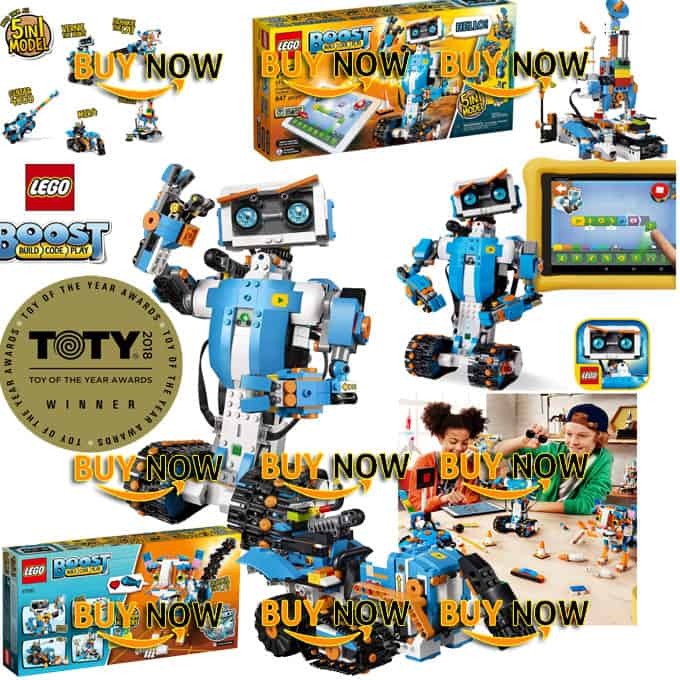 LEGO Boost compares really well to all other competing robots out there, so if you want your kid to know about coding, robotics, mechanics or technology, it’s a really easy choice. The age range is spot-on: 7 to 12 years old seems just right. App can be very confusing at times and the “unlocking” of levels is irritating easily.